Home Home-Featured Wolfpack Girls BB Team State-Bound! 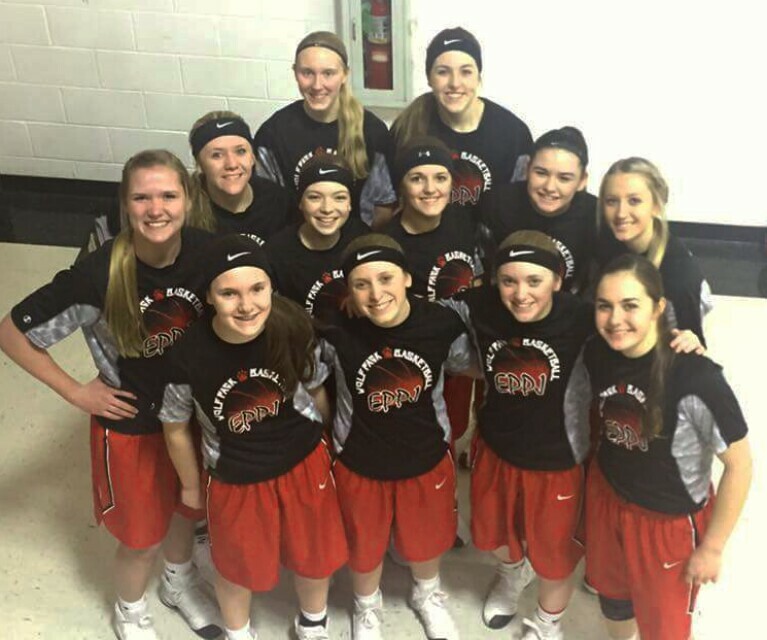 Wolfpack Girls BB Team State-Bound! The Wolfpack girls. Photo by Joyce Wemhoff. Their fate hung in the balance as a couple of teams HAD to lose their subdistrict finals game for the Wolfpack girls to get one of the two “wildcard” berths in the D1 state basketball tournment. Last night (Friday) Fullerton lost and tonight Burwell lost. Randolph gave North Central a scare tonight – an upset there would have given a “wildcard” to North Central. North Central beat the Wolfpack girls in last week’s subdistrict final game. We’ll make the tournament pairings available as soon as they are released by the NSAA.